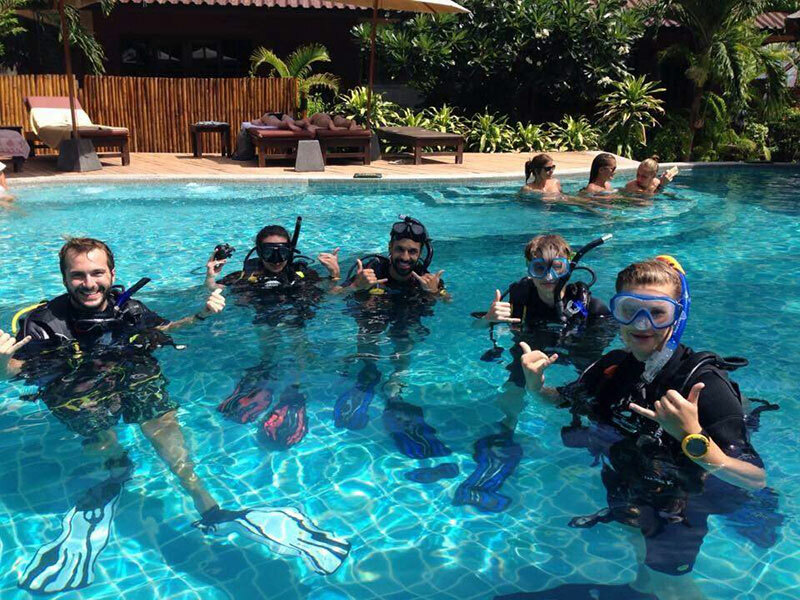 Doing the PADI Divemaster training course is not only a fantastic once in a lifetime experience (especially if you do it on a tropical paradise island like Koh Tao in Thailand), and the opportunity to become qualified to get paid to take people diving, but it is also the first step towards becoming a PADI Open Water Instructor. In order to be a dive professional you need to know and be able to demonstrate every skill required for dive training. If you aren’t sure if you want to be a PADI Instructor yet, being a PADI Divemaster still gives you the opportunity to experience the thrill and satisfaction of creating new divers by assisting Instructors teaching the PADI Open Water Course. And a big part of this is being able to demonstrate all the skills required to pass the course, and help students practice them. This is why the Sairee Cottage Divemaster Training Programme puts a lot of emphasis on training our candidates to the highest possible standards when it comes to skill demonstration. So, if you’ve already decided you want to become a PADI Dive Professional and you want to be one of the privileged few that get to do it in the paradise that is Koh Tao, Thailand, then choosing to do your Divemaster training at Sairee Cottage Diving is the best choice you can make.